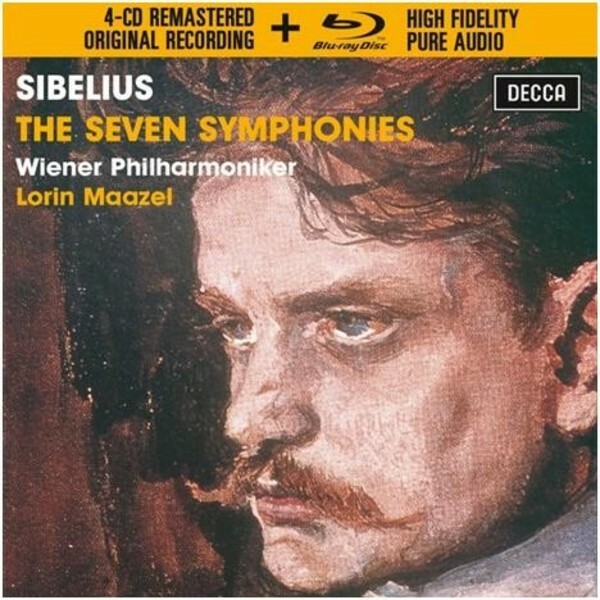 Sibelius’ reputation rests chiefly on his magnificent symphonies, seven spectacular creations, all with their particular points of grandeur and originality. Originally released between 1963 and 1968, Lorin Maazel’s Sibelius cycle met with critical acclaim. Particularly praised is Maazel’s interpretation of the Fourth Symphony in the Vienna Philharmonic’s only recording of the work. Decca has gone back to the original tapes to make a definitive transfer and present a set which includes the remastered recordings on 4 CDs and a High Fidelity Pure Audio Blu-ray disc – an unprecedented opportunity to hear these legendary recordings in the best possible audio quality.